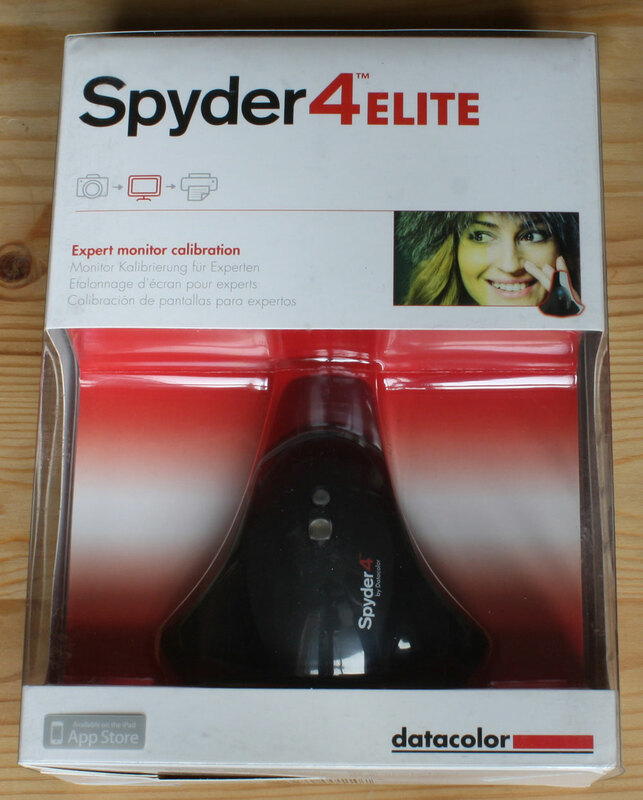 The Spyder4Elite comes in an unassuming white box with red highlights, showing the main section of the Spyder in clear plastic. 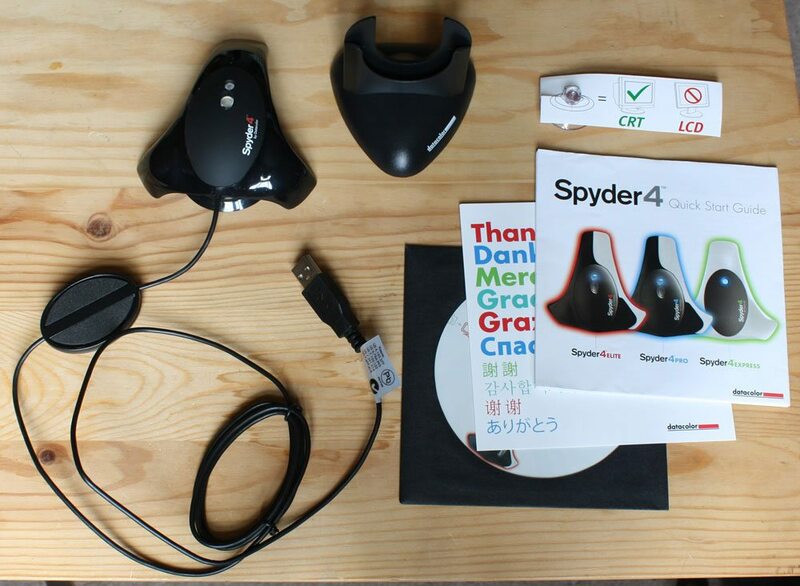 Hidden within the box is the rest of the kit – the long USB cable attached to the Spyder and the desktop docking base. 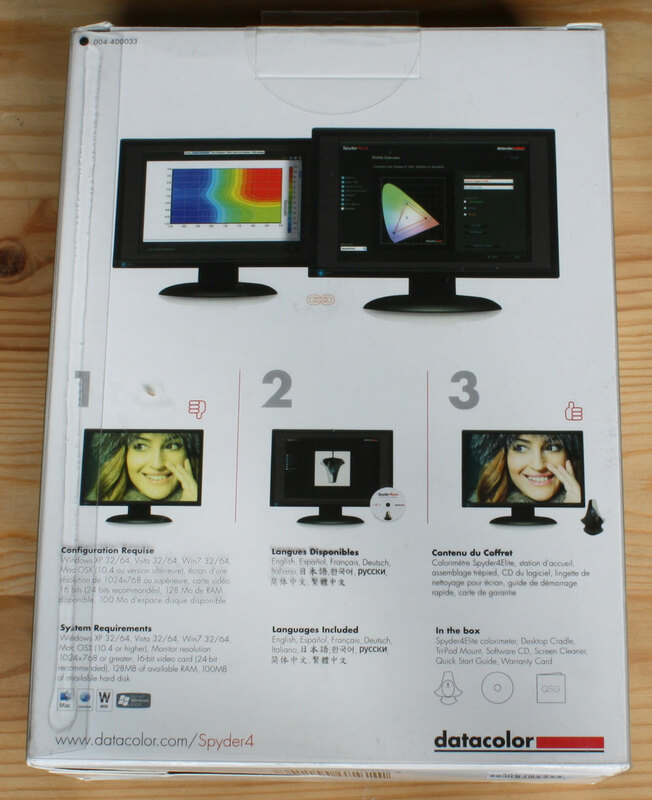 There’s also a CD, which has on it a serial for the software, as well as a handful of quick start guides and other such documentation.